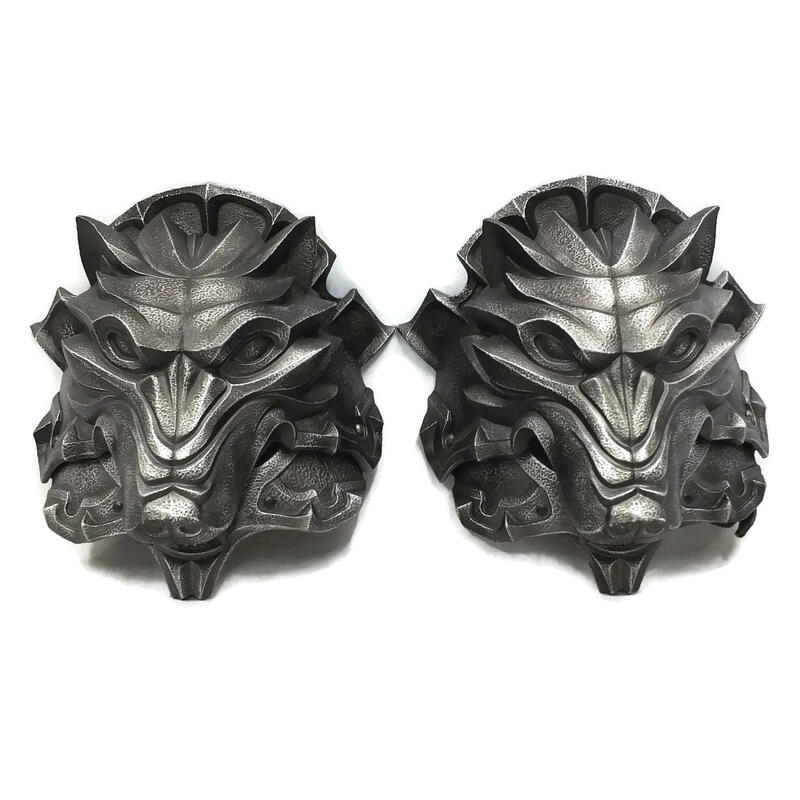 Pictures and Video show Dark Steel finish. 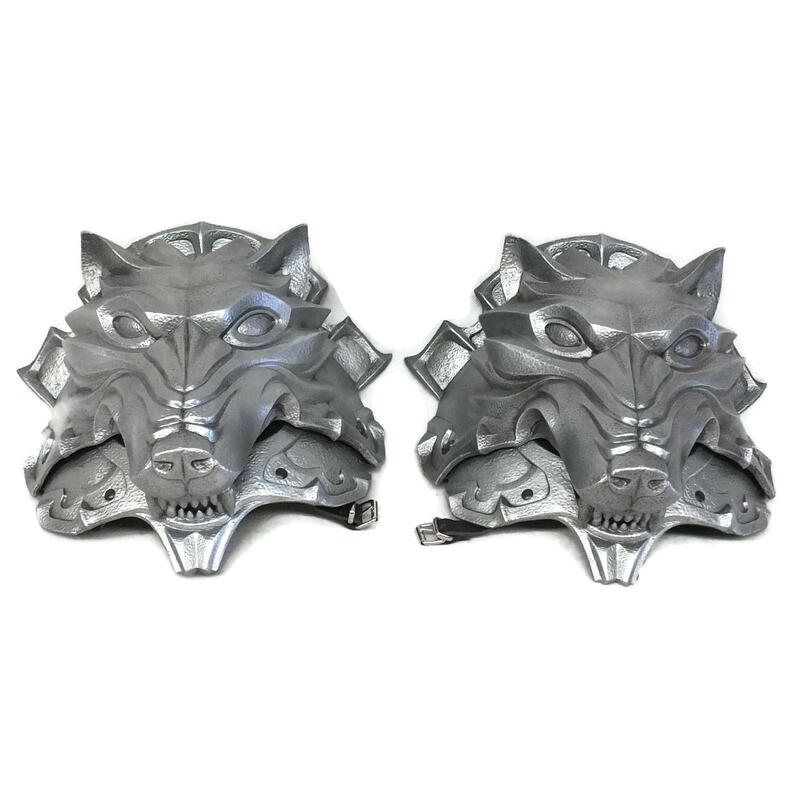 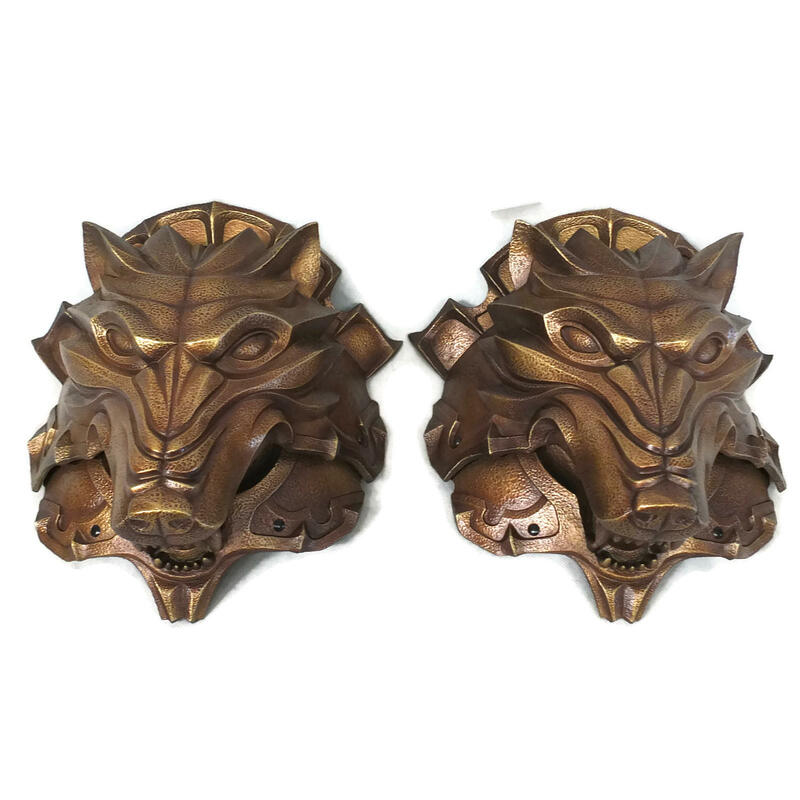 Beautiful Wolf Head pauldrons designed by the very talented Jay Cooling from Dragon Armoury. 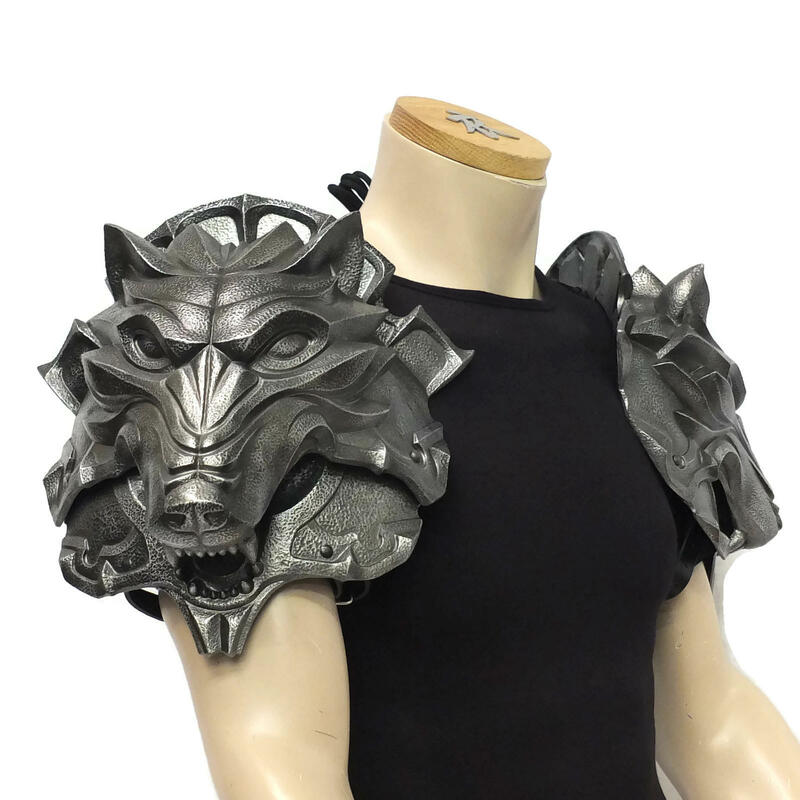 Each pauldron comes in two separate parts so that the mouth articulates. 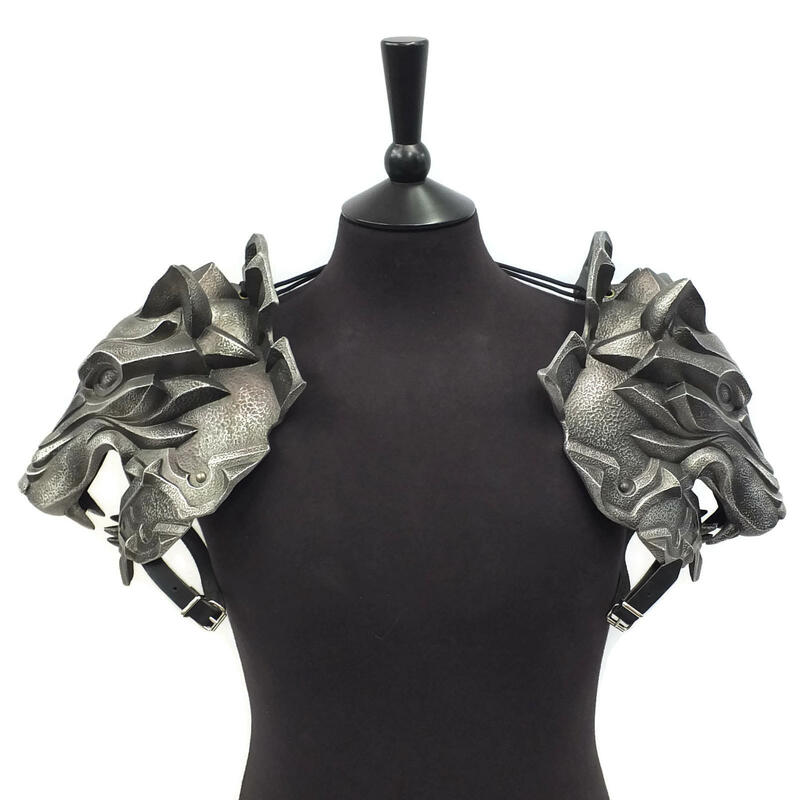 Can be purchased either as a pair or single shoulder. 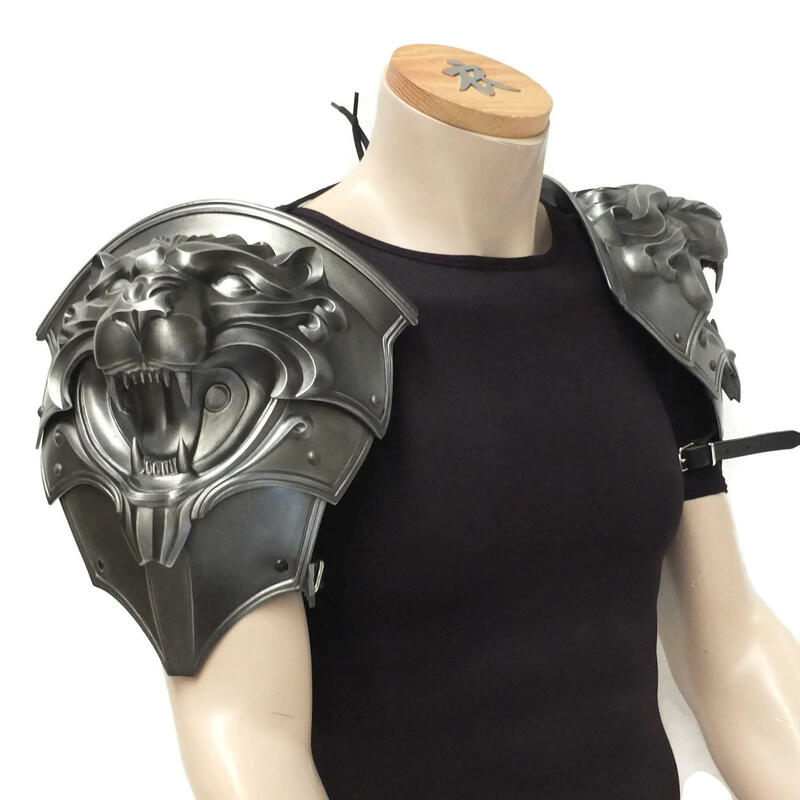 Complete with black leather straps and shoulder laces for tying to armour or costume. 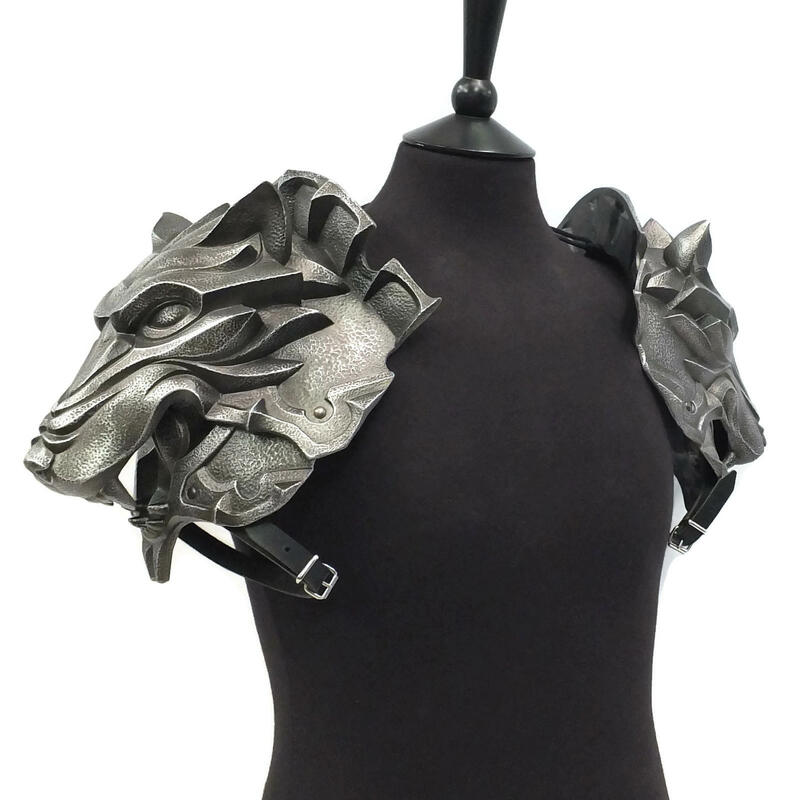 Available in a range of finishes or can be supplied plain for you to paint yourself. 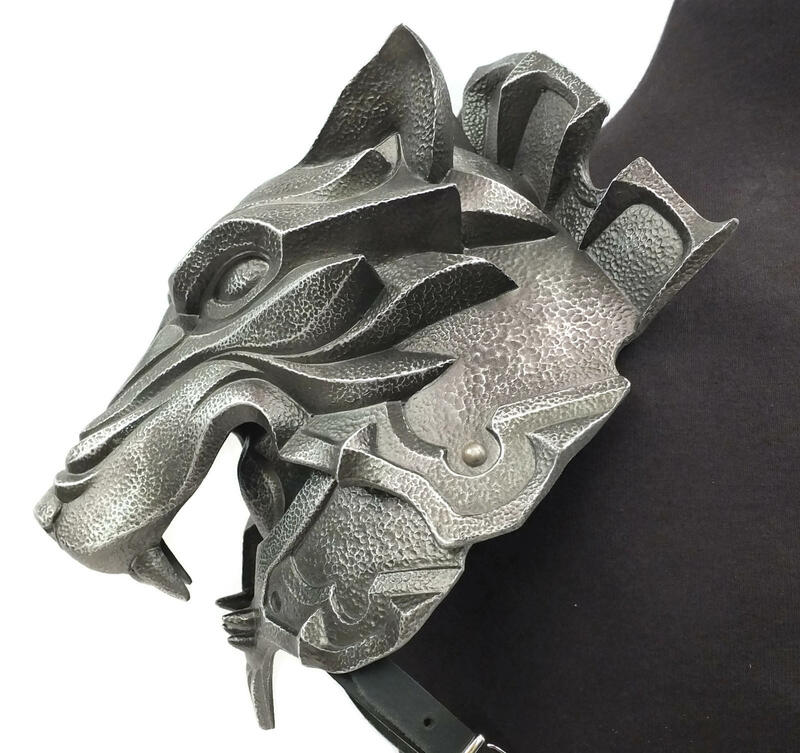 Made in the UK by Wyrmwick Creations Ltd under license from Dragon Armoury.